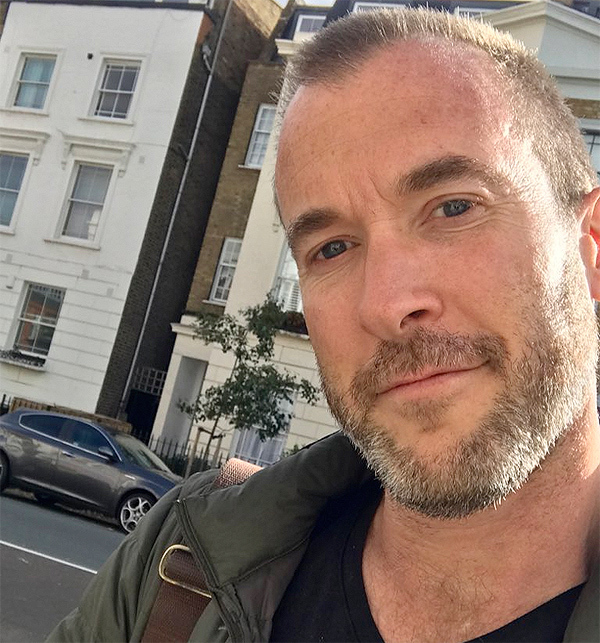 Daniel Gould died suddenly on 14 December 2018. He was 43 years old. It was completely unexpected. I understand from Daniel’s family that the autopsy showed the cause of death was a blood clot resulting from a brain tumour. 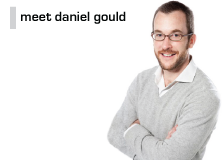 Six years ago Daniel had skin cancer, which appeared at the time to have been treated successfully. It seems from the autopsy that the cancer had since spread slowly in his body, without him being aware of it. What is there to say? It’s impossible to comprehend. Sofabet will now cease to be active. The existing content will stay up as a legacy to Daniel. Daniel and I started Sofabet in 2010, and we had a blast with it. For those who have enjoyed the site with us over the years, I offer a few personal reflections below. There were a few small jitters in the outright market this weekend, but long-time favourite Dalton Harris took the crown. Scarlett Lee was the runner-up with Ant Russell in third. From a Sofabet perspective, it felt like producers had long lost their handle on the show, and we could no longer rely on the messages coming across. 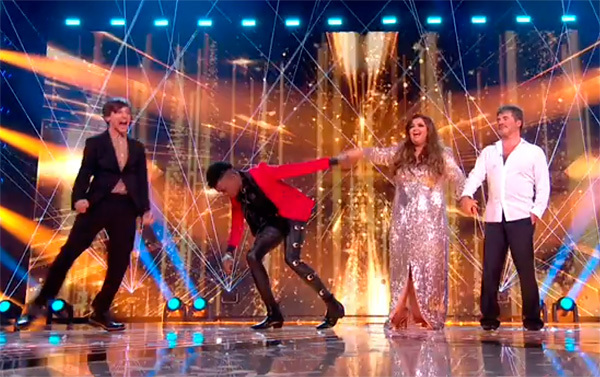 However, Sunday night felt like a long coronation for Dalton, starting with the pimp slot, and then an excellent duet with previous winner James Arthur. The publication of the voting stats will reveal just how inevitable for how long this result was. Do continue to let us know your thoughts below. They’ve been much appreciated throughout recent months. We’ve rarely had cause to doff our caps to TPTB this series, so it’s nice to have an opportunity to do so – the sequence of the first three VTs on Saturday had us chuckling. The common theme was going on a night out. First up, Brendan met his cousin in a near-empty pub (was that Sophie Habibis in the background? ), and nobody else paid him any attention. Next, Danny met his sister in a near-empty pub, and nobody else paid him any attention. Then Dalton met… the Duchess of York, at a charity gala, wearing a gold dinner jacket, and was the centre of attention. 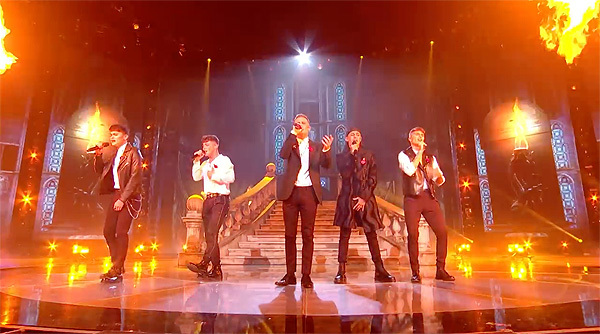 It was a hilarious use of the contrast principle, and a VT that seemed to indicate that producers are expecting Dalton to win and positioning him for this to reflect well on the franchise – much like the way Louis Walsh used to helpfully say “that sounds like a number one hit record” after whichever version of the winner’s single they were about to release. That seemed to be backed up by the comments – a “megastar” from Robbie, a Michael Buble comparison from Cowell. After that, though, the weekend became significantly more confusing, and not just because of the random “X Factor gets drunk and does Abba karaoke” session. Scarlett’s pimp slot for the zeitgeisty ‘This Is Me’ seemed intended to make sure she finished above Anthony. The Liverpudlian traded at a three-figure price at one point, as punters and Sofabet commenters assumed that the thinking was to enable Acacia and Aaliyah to make the final. Instead, the twosome were sent home after their fourth consecutive singoff, enabling Scarlett to join Dalton and Anthony in the final. But despite Scarlett’s pimp slot, TPTB hardly went in for the kill on Anthony. Yes, ‘Livin’ On A Prayer’ hasn’t always been intended helpfully (Sophie Habibis! We were just talking about you) – but he was in the penultimate slot in the running order, and the VT and comments were far from a hatchet job. If they’d really wanted rid of him, surely they could have rustled up a relative for him to take to a near-empty pub? Mixed messages aplenty, then, as we head into the final weekend, and both Dalton and Anthony have their believers in the Sofabet comments section. If we were producers we’d want Dalton winning, if only because it wouldn’t be a great look for the franchise to have the black guy beaten by the clearly less talented white guy. But, as we’ve been saying for weeks, this has been the strangest of seasons. Last year we were in awe of how TPTB had the voting public on a string, seemingly able to get acts to the top or bottom of the vote at will every week. This year, they just don’t seem to have been that bothered. It’s all been very odd, and it means we find it hard to summon up much confidence about what to expect. Do continue to let us know your expectations below. 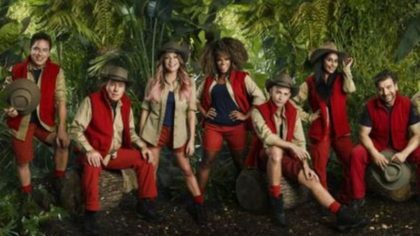 With X Factor looking like a foregone conclusion, our hardy commenters have the celebrity jungle exploits to keep them occupied in the run-up to Christmas. Will Harry Redknapp manage his way to reality TV success? Or can Fleur East go one better than her X Factor second? Let us know your thoughts below as it unfolds. 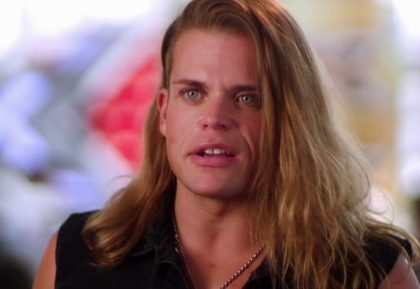 “I feel embarrassed, actually, for the show” – as do we all, Simon. He meant that the show hasn’t yet made the best of Acacia and Aaliyah, and that was his excuse for sending Gio home after a barnstorming singoff performance. “How are they going to do this?” Dermot had said, apparently wondering out loud to himself the same thing we were, as he gathered the two acts to face the decision. 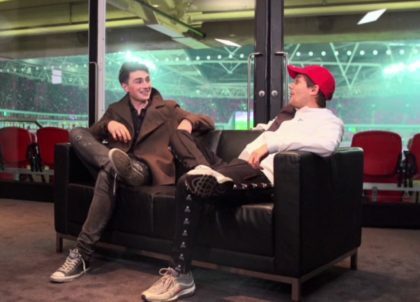 After both singoff performances, Cowell had been seen conferring earnestly with Louis, presumably getting their stories straight. It was another shambolic evening in an increasingly shambolic series. It seemed logical that the show would have to sacrifice Gio to avoid the embarrassment of Robbie losing both his remaining acts while awol, but it was a totally needless situation to be in. Why had TPTB not given Acacia and Aaliyah more assistance on Saturday, especially knowing how bad Misunderstood were going to be? In fairness, it actually seemed that they might have had a plan to reboot Acacia and Aaliyah after their singoff appearance last weekend, when the pair and their backing dancers came out dressed in fabric emblazoned with a white-on-red AA logo, with the same AA logo plastered all over the backdrop and even spraypainted on a car. Ayda dutifully mentioned the logo, in case anybody hadn’t noticed. And then Simon inexplicably pissed on their chips, telling them “the whole thing was overproduced”. Later came a display of incompetence astonishing even by the standards of this series, as Misunderstood’s VT ended with them saying “Every single thing you’re going to see on that stage is out of our creative minds”, followed by stand-in mentor Nile ingenuously blurting out “I happen to know that you didn’t want to do it like this, but because of circumstances you had to do it… you did the best you could”. Can you imagine in previous seasons that TPTB would have let a guest mentor loose on the panel without being certain they were briefed and on-message? It would take a brave punter to risk much on what plays out from here on in, and sadly we’ve got to the stage this year of no longer regarding the show as a reliable betting proposition – we’re just watching with grim fascination to see how much worse it can get. Do keep letting us know below how it’s looking to you. A general sense of confusion reigned in our comments section after the weekend’s live shows. We can only admit we’re as stumped as anyone. 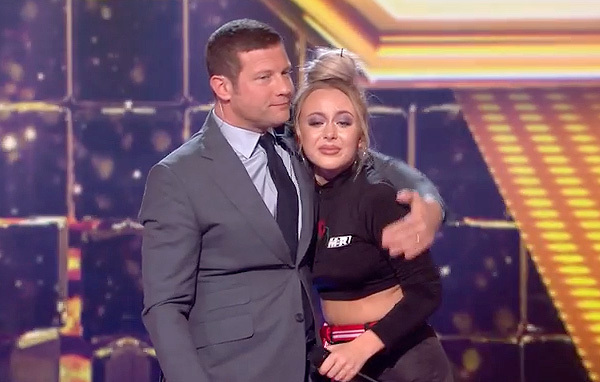 I’ve rarely been as shocked by an X Factor “last announced safe” reveal as when Dermot called Molly over Brendan and LMA Choir. The most interesting moment on the shows occurred just seconds earlier, after Janice was sent home for finishing bottom of the vote. 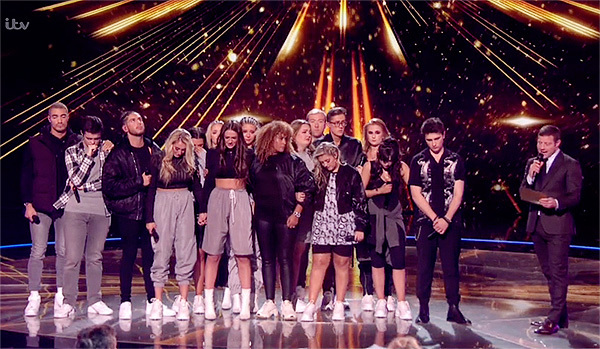 Simon admitted: “I didn’t even know what was happening on the show earlier on,” to which Dermot joked, “They’re in the room physically, anyway.” Simon had spent the first live show admitting many acts were “better than he expected”, which suggested I) he hadn’t known what was happening then either, and II) he thinks this year’s line-up isn’t inspiring. LMA Choir at least provided some novelty and variety, which allied to Robbie’s repeated Liverpool shout-outs, is why we weren’t expecting them to leave this weekend. But in the opening slot, deadlock showed they had finished below Brendan. Where does this leave those playing the betting markets?